The following is a direct excerpt from my recently published book, Coach Your Self Up. Odds are, you have at least one person in your life that you would consider some form of coach. This might be a friend, a colleague, a family member, a boss, etc. And maybe you have been fortunate enough to work with a professional coach in some capacity. Of course, there are many other attributes of good coaches, but this is a solid list. And as a professional coach, I believe it is of great value for you to have one or more coaches in your life. 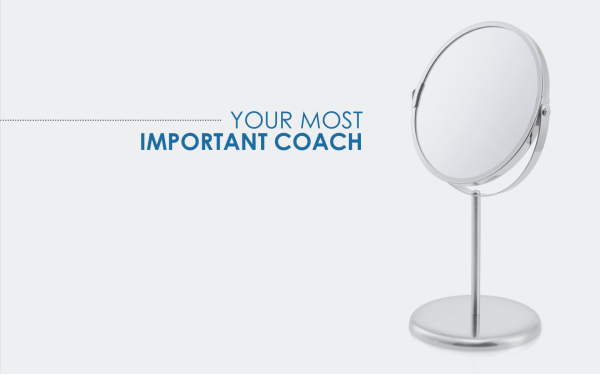 You are your most important coach. This is often an overlooked and hence under-utilized internal resource or capability. How cool would it be to cultivate an inner coaching voice to bring to some of those conversations you already have with yourself? To help you see different perspectives. To help you become a better you. That, in a nutshell, is what Coach Your Self Up is all about. This is not about replacing the other coaches in your life. The ability to coach one’s self is simply additive to this mix. In fact, while a bit oxymoronic, the most effective self-coaching will involve the support of others.